Stanley market is one of the most popular open-air markets in Hong Kong - and has been for decades. Found on the back streets of the seaside town of Stanley it's not especially big but it does have bags of character. Set over just two streets it doesn't take more than an hour or less two to get around the market, although there is plenty more to see in Stanley. The good news is that it’s fairly well covered, keeping both the rain and the sun at bay. The market is often accused of being a tourist trap. That's a bit unfair. It certainly does attract a lot of tourists, but that's because Stanley itself is such a popular destination. What Stanely Market is lacking is the boisterous and brash sellers and passionate haggling of other Hong Kong markets. This isn't a market for locals, and is instead mostly stocked with chess sets, chinese fans and calligraphy - having your name transcribed into Chinese characters is popular. It's a bit gimmicky, but that doesn't mean it isn't fun. Nor are prices a rip-off - don't expect to haggle any bargains here, but prices are fair. Sellers here are more used to tourists, speak good English, and overall, it's a good introduction to a traditional Chinese market. But don't kid yourself, this isn't Sham Shui Po. It's not even the Ladies Market. Souvenirs - this is a great place to pick up a set of ornamental chopsticks or Bruce Lee memorabilia. The quality isn't high, but neither are the prices. An easy introduction to Hong Kong markets. The sellers speak English, the atmosphere isn't too rough and tumble and you aren't expected to haggle. Bargains. The prices here are a little higher than at the markets downtown. Also, there is little chance of haggling. A real Hong Kong market. 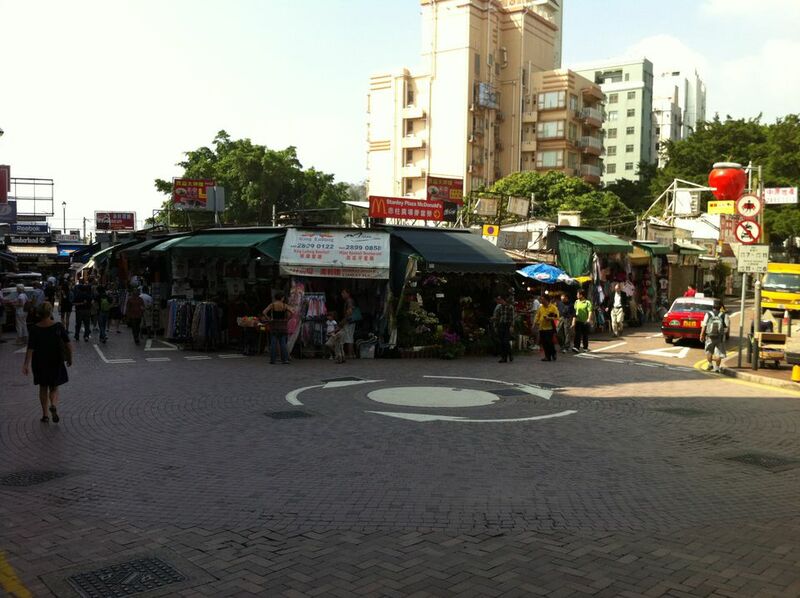 If you want to see a full-blooded market with hands-on haggling, then Stanley market isn't for you. The market is located on Stanley Market Road, Stanley, and is open from 10:30a.m.-6.30p.m. The best time to go is in the morning before the sun really starts beating down and before the hordes of crowds arrive. The market is also nice to visit just after lunchtime. Chinese calligraphy – one of the most popular purchases is having your English name transcribed into Chinese. Stanley is one of Hong Kong's most popular day trips. Just an hour away from downtown, the beaches here are not the best in Hong Kong, but they are the easiest to reach. There are also plenty of restaurants, cafes, and bars that spill out on to the sidewalk, where you can enjoy some food and fun in the sun. Look out for Stanley Barracks at the far end of the promenade. This British military building is one of the oldest in Hong Kong - dating from 1844. It was moved brick by brick from Central Hong Kong and now houses restaurants and cafes on its cool verandahs. What Golf Courses in Hong Kong Accept Visitors?